(By Staff Reports)– VIZ Media, LLC (VIZ Media), the largest publisher, distributor and licensor of manga and anime in North America brings back the celebrated manga (graphic novel) series for THE LEGEND OF ZELDA on November 1st. THE LEGEND OF ZELDA: LEGENDARY EDITION is a new series of 2-in-1 releases of the classic 10-volume fantasy adventure. Each edition contains two complete volumes of THE LEGEND OF ZELDA manga series, presented in a deluxe format featuring new covers and color artwork by creator Akira Himekawa, and will be printed in a larger 5-3/4” x 8-1/4” format. 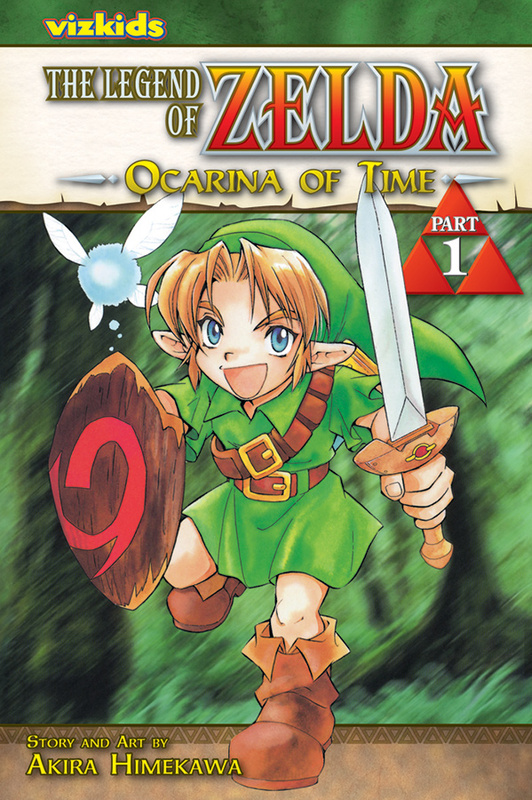 Volume 1 contains THE LEGEND OF ZELDA: OCARINA OF TIME Parts 1 and 2, and is rated ‘A’ for All Ages. The release will carry a print MSRP of $17.99 U.S. / $21.99 CAN. Future iterations will be released bimonthly for a total of five volumes. Established in 1986, VIZ Media is the premiere company in the field of publishing, animation distribution, and global entertainment licensing. Along with its popular digital magazine WEEKLY SHONEN JUMP and blockbuster properties like NARUTO, DRAGON BALL, SAILOR MOON, and POKÉMON, VIZ Media offers an extensive library of titles and original content in a wide variety of book and video formats, as well as through official licensed merchandise. Owned by three of Japan’s largest publishing and entertainment companies, Shueisha Inc., Shogakukan Inc., and Shogakukan-Shueisha Productions, Co., Ltd., VIZ Media is dedicated to bringing the best titles for English-speaking audiences worldwide.